I saw the movie, she’s brilliant. A great performance, an incredible role, she’s incredible. So glad to see she has another A+ film and performance, Black Swan feels like a long time ago. This is going to be a fun few months. Same. 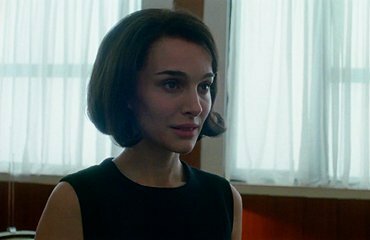 Jackie wasn’t really on my radar just based on its biopic genre, but my skepticism is quickly waning and I’m looking forward to it almost as much as Annihilation. Was there any info about a theatrical release? Guessing by the talk about Oscar I’m guessing end of the year/beginning of the next? Yeah, it would have to be before the end of the year (even if limited) to qualify for the Oscars.